Bharat Road Network, a Srei Infrastructure Finance initiative, fixed a price band of Rs 195-205 per equity share for its initial public offer through which it aims to raise Rs 600 crore, reported PTI. The IPO will open for public subscription from September 6-8. The company said in a statement that it "will be launching its IPO of up to 2.93 crore equity shares which is scheduled to open on September 6 and close on September 8 at price band of Rs 195-205 per equity share". The issue constitutes 34.90 per cent of the post issue paid-up equity share capital of the company. At the up-end of the price band, the company is expected to garner Rs 600 crore. Net proceeds from the issue will be utilized towards advancing of subordinate debt in form of interest-free unsecured loan to its subsidiary, STPL, for part financing of the STPL Project among others. 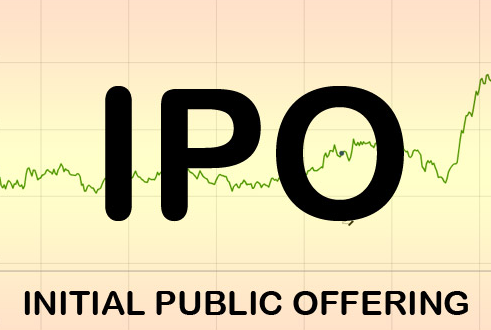 INGA Capital, Investec Capital Services, and Srei Capital Markets will manage the IPO. The company's shares are proposed to be listed on BSE and National Stock Exchange (NSE). Bharat Road Network Limited is a road build-operate-transfer (BOT) company in India, focused on development, implementation, operation and maintenance of roads/highways projects. It was incorporated in 2006 as a developer and operator of highways, road, and related projects on a BOT basis. As per the letter arrangement dated February 16, 2017, it will manage all the road/ highway assets of its corporate promoter SREI Infrastructure Finance Limited (SREI). At present, all of its projects are implemented and held through special purpose vehicles, either through its Subsidiaries or in partnership with other infrastructure players. The company is involved in operating toll based BOT Projects wherein it has the right to collect toll or user fees. It also performs a range of project management functions, including design, engineering, EPC management and quality control. It also provides project advisory activities including, project management consultancy, project conceptualization, commissioning, operation and management of the projects during the entire life cycle of its projects. It also undertakes debt syndication, refinancing and financial restructuring of its projects. The company has a project portfolio consisting of 6 BOT projects, of which 2 are projects operational under Final COD, 3 projects operational under Provisional COD and 1 is a project under Construction. Projects operational under Final COD and projects operational under Provisional COD are located in the states of Kerala, Madhya Pradesh, and Haryana, Uttar Pradesh, and Odisha, respectively. Project under Construction is located in the state of Maharashtra. Projects operational under Final COD and projects operational under Provisional COD cover approximately 1,622.44 lane km's, including major and minor bridges and its project under Construction, involves the development of 400.24 lane km's, including major and minor bridges. Further, as of November 30, 2016, the average residual Concession Period of its BOT projects was approximately 18 years and 10 months in comparison with its average debt maturity profile of 9 years and 9 months.